Cross-cultural Competence Archives • Ravi Unites, Inc. Please click on a link above to immediately go to that section. 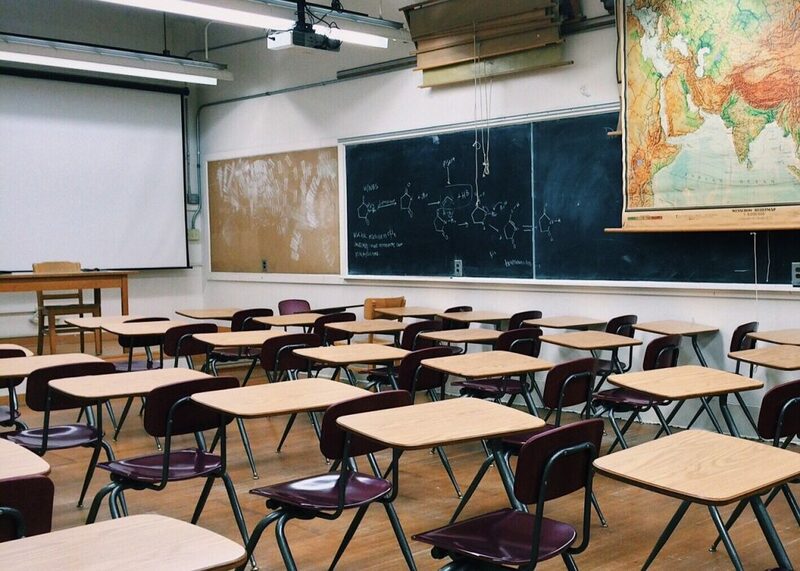 Inequity in education remains a hot topic among stakeholders nationally, especially with the recent higher education scandal where wealthy families and well-known television personalities face federal charges of college entrance admission cheating. With figures from recent studies showing that children living in certain parts of the country are less likely to complete secondary education or be admitted to a university, and those from immigrant backgrounds or minority groups (including Native American Indians) are more likely to leave school earlier, something significant must be done. It is clear there is a serious ongoing problem. Many articles have been written offering solutions but the situation still exists. We need to go deeper. We need to reevaluate the core of how our education system functions and is funded. What is Equity in Education? The unique differences between equity and equality often cause confusion. Many times they are incorrectly interchanged. While both equity and equality are cornerstones of social justice and fair resource allocation, they are significantly different. The OECD lists 10 steps stakeholders can take to achieve equity in education. I've drawn from those steps and narrowed it down to four key areas. Culturally responsive education, or as I call it, "cultural competence," focuses on elevating and expanding learning capacities of students who are traditionally marginalized in the education system, an approach that can go a long way in addressing common challenges associated with cultural incompetence. When we provide traditionally marginalized students with opportunities for high-level thinking, and we also provide all students with training to relate in positive ways with people of different cultural backgrounds, we’re training them to become competitive on the global stage. Data is one tool that can be used in this area. Why? Because people sometimes have perceptions that do not reflect what is actually happening in the school community. Equity-related data can be researched to help educators prepare instruction that benefit all students. Stakeholders must also think about how resources, ranging from books provided in classrooms to student funding and school building design and setup, impact equity. Students from low-income families and those of color traditionally require more resources to level the playing field. Those with disabilities, meanwhile, require appropriate infrastructure to overcome their challenges. These groups benefit from additional funding. How we allocate these resources within the classroom, in the school district, and at the national level has a huge impact on educational outcomes. Programs like Title 1 help us achieve equity, but professional development, which is currently being cut in many states and in the President’s most recent budget proposal, is also critical. Why shouldn't school choice be a fundamental right in a free society? Moreover, having one's education be independent of government funding and therefore independent of potential modern-day indoctrination also seems like a desirable scenario. The idea of school choice, in theory, has great potential to provide equity and accessibility. The Model promotes greater individualized education and less of a sheep-herding approach. The challenge for successful implementation is that additional barriers musts be recognized and overcome for this to truly be a “choice for all.” One simple example is transportation. Some families simply don’t have the resources to transport the child to and from a distant school. Resources must always be provided to offset this need in public education. As our society advances, we must double down on identifying and removing barriers so that every child is more readily able to reach her highest potential. Can diverting public funds to private institutions ultimately lead to equity, and isn't equity fundamental to our strength as a country, or as a species? In my opinion, those funds should be invested in our public schools in order to provide greater equity in education. Further segregation through school choice--ultimately self-selection segregation--generally reduces diversity; if not done with equity and access in mind and deliberate action, this may ultimately hinder students’ abilities to function in a globalized world. As Gatto writes; “It’s absurd and anti-life to be part of a system that forces you to sit in confinement with people from exactly the same age and social class. Such a system effectively cuts you off from life’s diversity and the associated synergy; indeed, it blocks you from your own past and future.” In the education system, addressing equity at more fundamental and deeper levels is the only solution to this problem. Lots of thoughts go through my mind. Young people from Native American groups indigenous to the North American continent suffer from many of the same epidemics that the rest of society suffers from: opioid addiction, alcohol abuse, drug abuse, technology addiction, and so on. On top of that, they face significant racism that is on par with most immigrant populations. Yet ironically, they are not immigrants; they are native to this part of the world. That brings me to the current discussion about building a wall along the southern border of the United States. I can't help but wonder: if we were to turn back the clock hundreds of years but with the indigenous population having the experience that they have now, would they have built a wall to keep out illegal immigrants (whom we now call "citizens") who stole their land and committed crimes and murders against them? And then there is the issue of integration: how can the native population celebrate and share their cultures without the majority attempting to silence it? For example, how alienating it must be that some of the first school year holidays include Columbus Day and Thanksgiving. How do we become more culturally competent in the United States so that we can truly embrace the original founders of our land and make their many heritages something that every student will know more about, appreciate, and celebrate? Mississippi’s economy is ranked 49th in the U.S. To help educators and administrators elevate the national standard of education and work toward equity in education, it is as important for me to learn as much from those in Mississippi as I hope they will learn from me. For this reason, I will arrive a day early to listen as state and local leadership address the challenges facing education in their state. This will help inform my closing keynote on April 5, 2019. It’s that time again when the calendar flips, we evaluate the past and plan for the future. 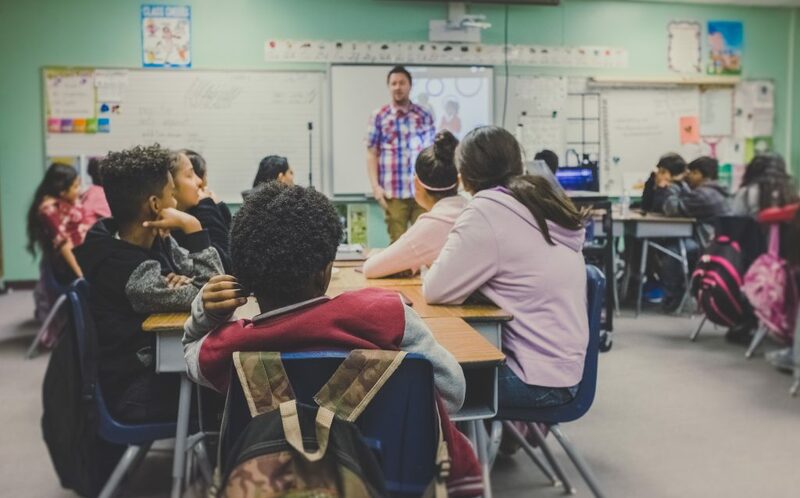 The school year in the U.S. follows a different cycle, and regular evaluation and reevaluation in school districts must happen year round; this includes undergoing professional development. In 2018, I had the privilege to deliver the keynote address for several district-wide convocations. I tend to focus on national and global conferences but was reminded that significant change often happens at the grassroots level, perhaps now more than ever. I began to embrace the opportunity to interact with teachers directly—they are the face of education and, if empowered to do so, have the greatest gift to offer society. My concern in speaking at convocations for non-urban, small, and especially rural districts was that my messages of the need for greater cultural competence and the positives of globalization might be perceived as irrelevant to them. However, as I became more familiar with these local communities, I was struck by how culturally diverse many are. For example, Harrisonburg, Virginia has a rapidly changing and diverse population due to refugee resettlements (http://www.wmra.org/topic/refugees-virginia#stream/0), and there are many others that may seem homogeneous but actually have or will have a high degree of cultural diversity that needs to be included in education strategy and planning. While it is commonly accepted that diversity has increased in urban areas, diversity has significantly increased in rural areas as well. In fact, data shows that 97% of smaller cities (10,000-50,000) in the U.S. have increased diversity since 1980 (Theconversation.com). This emphasizes that the impact of immigration and growing diversity is not limited to major metropolitan areas only but extends out to all communities and thus all public school districts across the U.S.
With this trend comes the need for education leaders to foster the cultural competence of students and communities; to help them proactively seek common ground and overcome any potential fear, bias, and closed off interactions. As we saw last week in Washington DC, implicit bias appears to have contributed to misinterpreted hostilities between three diverse groups (Native Americans, white Catholic school students, and Black Hebrew Israelites) who had separately convened at the Lincoln Memorial to exercise their freedom of speech. Moreover, with the heated debate about building a wall along the southern border of the United States, the distinctions between illegal, legal, and refugee immigration are often intentionally muddled. Education must aim to correct what is at the core of such misunderstandings. The number of immigrants settling in suburban and rural areas of the U.S. has grown substantially and the trend continues to move in that direction. Since 2014, over 61% of immigrants now live in suburban areas (The Atlantic). These individuals seek the same things we all look for: affordable housing, job opportunities, and quality schools for their children, to name a few. This outward mobility from urban centers means that suburban and rural school districts are indeed more diverse than ever before, and the skills to understand, appreciate, and value people from different backgrounds and cultures needs to be high priority. Not only has diversity from immigration increased across all areas of the U.S., this diversity is generally self-sustaining. Minority groups are maintaining and growing through the birth of children. The majority of U.S. Hispanics are now native born. Of the 57.4 million people in 2016 who self-identify as Hispanic or Latino, only 34 percent (19.6 million) are first generation immigrants (Migration Policy Institute). Cultural dynamics in the U.S. are changing permanently and all communities and school districts are impacted. We must each increase our own cultural competencies and develop pathways to instill skills for listening, learning, and appreciating the value of people from different cultures and backgrounds. Forward-thinking educational leaders must equip teachers to model and teach cultural competence in the classroom. It’s an amazing time to be alive. I’d welcome the opportunity to talk further about these trends and how your school district is working at increasing cultural competence among students and families. Last year, we tested Ravi’s assertions that students crave opportunities to connect in real time with their peers in other parts of the world, that educators seek new ways to increase their students’ cultural competencies, and that this stimulates greater empathy and action on behalf of others. By August, over 100 schools and districts had registered to Skype with a student group in another geographic region through the Ravi Unites Schools initiative. 12 classrooms with over 100 students ages 9-18 have now interacted between India, United States, China, Chile and Japan, and many more will in 2019. The Association of School Superintendents (AASA) and STEM Institute are strategic partners, and we are in discussions with Britannica. The overwhelmingly positive results were captured on video, through teacher testimonials, and in previous blogs and e-newsletter updates: learn more here. In 2019, we will offer registered educators a larger array of dates and times from which to choose. This will increase the likelihood that schools will be able to participate. Due to the large numbers of U.S. schools participating, most opportunities will be domestic. This spring, we will also work to build a feasible schedule of opportunities with schools registered from China, Chile, India, Japan, Canada and New Zealand. Wish us luck! There are inherent challenges in overcoming the vast differences in time zone, cultural norms, video communications systems, school day and time availabilities. Thank you for your patience. We hope that many more schools will be able to interact in 2019. Last month on the blog I discussed the value of failure and how, rather than trying to help young people avoid failures, we should be more intentional about teaching the ways that failure helps us learn, grow, and ultimately succeed. This month I want to turn our attention to the workplace as well as to our school environments; specifically how cross-cultural competence impacts workplace and school culture and effectiveness, and why this topic is more important than ever at this time in our nation. The U.S. is currently in the middle of a significant demographic shift. Groups once considered minorities will together make up at least 52% of the country’s population by 2050, with the population of Hispanics likely to more than double and the black American and Asian populations also expected to grow by a significant margin. In the workplace, due in part to globalization, customers and employees will represent an even more diverse mix. Most organizations are already experiencing this as they hire employees and serve customers from multiple cultures, religions, and ethnic backgrounds. It partly explains why many large corporations now have multilingual human resource personnel and customer support staff, and are looking to diversify their boards of directors and executive management teams. This diversity presents workplace opportunities for high-quality professional development to avoid team conflict, bias, and communication breakdowns. Without engaging in appropriate, compassionate training for staff and management, businesses could experience higher turnover, lower morale, and losses in profitability. To overcome the challenges posed by this shift, schools and businesses need to invest in intentional cross-cultural competence equipping as part of their overall talent management practices. This is one reason why my songwriting programs were presented in Indonesia, Iraq, and Lebanon by the U.S. Department of State with the focus of bridging across cultures and defeating some long-standing religious, social, racial, and cultural biases. The same principles apply in the U.S. and anywhere in the world. Culture refers to the shared traditions, beliefs, customs, institutions, folklore, and history of a particular group of people. A culture is shared by people of the same ethnicity, language, customs or religion. Competence, meanwhile, means to have sufficient knowledge and skills to enable someone to work in a wide variety of situations. Cross-cultural competence, therefore, refers to possessing the knowledge and skills necessary to work with people of different nationalities, ethnic communities, languages, and religions. If a person, school or organization is culturally competent, it means that they understand, appreciate, and can effectively work with people with different traditions, beliefs, and customs. Millennial idealism offers a great opportunity to overcome many social injustices, including racism. This generation is “color blind” and multicultural, so by embracing this aspect of millennial mindset, we can organically grow out of some implicit biases that currently hinder cultural competence in the workplace. Culturally competent employees are open to the views and perspectives of employees from other cultures. This can be vital in achieving unity within the organization. When people from different cultures work together, varied perspectives come to the table. With more ideas to consider, it becomes easier to find lasting solutions to existing challenges. A culturally competent workforce also looks out for each other. Individuals are always willing to take action for the collective good. This, too, can be instrumental in achieving organizational togetherness. One of the fundamental requirements of cross-cultural competence is to possess excellent listening skills. Everyone at the organization will be willing to hear what others have to say and understand them in the ways that they uniquely express their views. More important, workers will know how to interpret what they hear within a much broader framework. The benefits of these skills are obvious. An empathetic, flexible, and adaptable workforce is productive even in the most demanding situations. When routines, management or the direction of the organization change, individuals will more readily adapt accordingly. Stereotyping is one of the primary impediments to workplace harmony. Cross-cultural competence helps employees recognize and deal with implicit bias and similar vices, thus boosting individual confidence and guaranteeing team morale. Finally, and perhaps most important, instilling cross-cultural competence in the workplace can be instrumental in rooting out racism. At the very least, the workforce will learn to appreciate each other, significantly reducing incidences of racial discrimination and abuse. This was a theme in my keynote two years ago at the National Education Association, where I talked about institutional racism in higher education. This is a pervasive challenge that must be eradicated from our multicultural society, and the benefits of unity in diversity revealed. With the significant demographic shifts within our nation and the increased globalization of our work experiences, cross-cultural competence has become a critical issue for businesses. It impacts not only productivity but ultimately organizational profitability. How will your organization address the challenges impacting workplace culture and effectiveness? I would be glad to discuss. Please contact me to talk further. inspire@RaviUnites.com ~ 1-202-838-7088 | ©1997-2019 Ravi Unites, Inc. All rights reserved.